Weekend is upon us once again and iOS users who’re always looking for new app experiences on their iPhone and iPad hardware know very well what this means; another paid iOS app going free for a limited period of time. Today’s title usually retails for $2.99 on the App Store, but can be downloaded and installed for absolutely free till next Thursday. 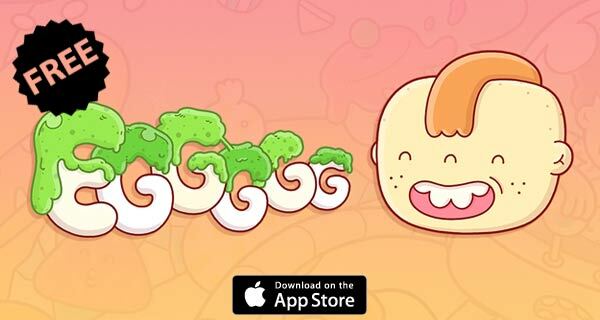 Called Eggggg – The Platform Puker, it is one of a kind game on the iOS platform and this being the first time that the title has completely dropped its price tag since it was released. So what’s it all about? 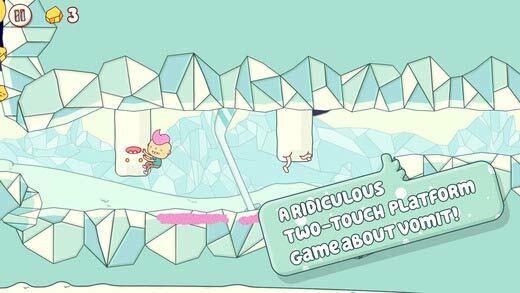 “Eggggg is a ridiculous two-touch platform game about vomit.” The game has been designed and tailored for mobile devices with it’s two touch control system and a theme that is as ridiculous as it can get, but then again, that is the basis of its appeal. Well that, and the fact that it’s temporarily available for free. The developer tells us that the game has been designed based on a movie called “Gilbert’s Cruel Revenge”. That may be just an interesting knowledge fact but what’s more interesting is, the fact that the title comes bundled with a sticker pack for iMessage on iOS 10, giving you more than just a free game. As mentioned earlier, you can download Eggggg – The Platform Puker for both the iPhone and iPad for free from the App Store till next Thursday. So what are you waiting for? Get downloading now.